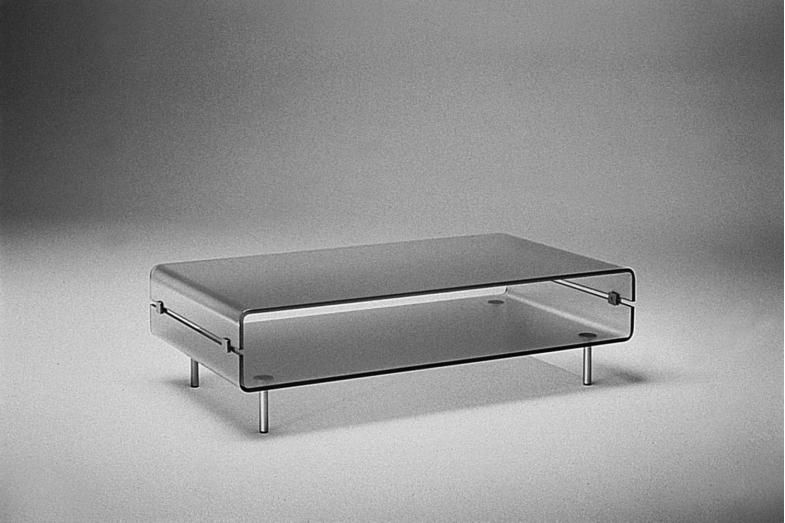 C&C is a simple and streamlined coffee table in 12 mm-thick curved glass. With feet and castors, and accessories in aluminium, the table is also available in extralight glass. Optional shelf in 12 mm-thick glass.